Domestic abuse can take many forms, but by our definition, it is any form of abuse against an intimate partner: physical, emotional, and psychological. Domestic abuse can also have a long lasting effect on children exposed to a parent’s abusive behavior. With 14 percent of children exposed to domestic violence every year, the cycle of abuse continues to repeat itself. But in many cases women are standing up, speaking out, ending their cycle of abuse, and helping to end the stigma. 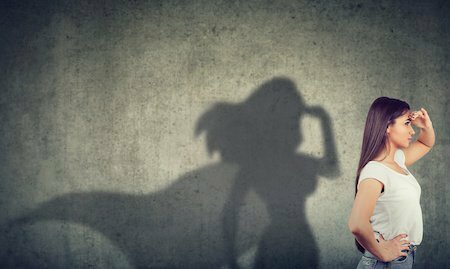 Here are five famous women who have experienced abuse in childhood or adulthood, and broke the cycle to overcome it. The singer and actress has been open with the public about growing up witnessing the abuse her mother endured and experiencing it herself. She is now an outspoken advocate for victims of abuse and for years now has worked with shelters for women leaving abusive situations. In 2018 she turned her life experiences into support for the HopeLine program, which helps support Camp Hope, a national youth program focused on ending the cycle of generational violence. Rihanna also grew up with an abusive father, often trying to break up fights between him and her mother. Unfortunately, as many people so often do, Rihanna fell into her own cycle of abuse as an adult. In the very public incident with then boyfriend Chris Brown, Rihanna has described being punched, choked, and bitten, and fearing for her life. She faced backlash a month later when she briefly reunited with him before realizing she had to end the relationship for good, partly because of how other young girls would be impacted. Rihanna continues to be an advocate for young women around the world, supporting multiple worldwide philanthropic efforts. Robin was married to Mike Tyson and spent years in a cycle of domestic violence. She endured countless violent rampages and threats to her life before finally leaving. Today Robin is a motivational speaker and active supporter of domestic violence organizations around the country, attends nonprofit events, and helps to raise money and awareness on the issue. Sarah shocked the world when recounting the abuse she endured with her boyfriend of five years. The abuse went undetected, becoming public after the split when she filed for a domestic violence restraining order. But Sarah didn’t stay quiet after that. She has sat for several interviews where she recounts the violence in hopes that speaking out will help end the stigma and protect women from enduring similar trauma in the future. Kelly kept her abuse quiet, hiding it from friends, family, and the public for some time. It was not until year later when she referenced it in song lyrics that the world became aware of the struggles with her abusive ex-boyfriend. Kelly took the time she needed to finally open up about it and without trying, showed young women, especially young black women, that there is hope, healing, and life after abuse. These stories show that each person’s journey is unique to them and that even when seeing and living through unspeakable and traumatic events, you can overcome. And what waits down the road is a life better than you could have ever dreamed it to be during the hard times. Abuse touches every gender, socioeconomic class, institution and organization across the country. Learn more about how domestic violence impacts our lives and what you can do to help end it.